That diet includes, of course, heart-healthy foods such as fish, whole grains, vegetables and fruits, but don’t be afraid to treat yourself occasionally with a glass of red wine or a piece of dark chocolate, Ms. Zumpano says. She suggests using this list as a guide to create meals and snacks with a healthy focus. 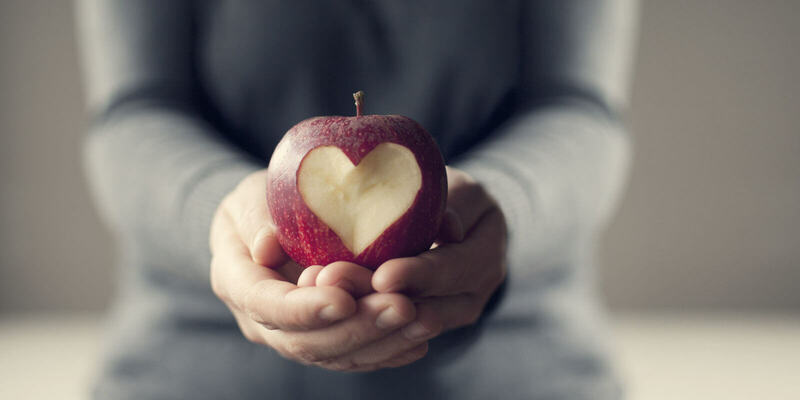 Just a few simple swaps could make a big difference for your cardiovascular health. When you add these to foods instead of salt and fat, you’re making a heart-healthy choice. They add flavor without the bad stuff. Spices and other foods are delicious ways to eat heart-smart. Mild, tender black beans are packed with heart-healthy nutrients. Folate, antioxidants, and magnesium can help lower blood pressure. Their fiber helps control both cholesterol and blood sugar levels. Add beans to boost soups and salads. A top food for heart health, it’s rich in omega-3s. Omega-3s are healthy fats that may lessen the risk of heart rhythm disorders and lower blood pressure. They may also lower triglycerides and curb inflammation. The American Heart Association recommends two servings of salmon or other oily fish a week. Often cheaper than salmon, tuna also has omega-3s. Albacore (white tuna) has more omega-3s than other tuna varieties. Try grilling tuna steak with dill and lemon. Reel in these other sources of omega-3s, too: mackerel, herring, lake trout, sardines, and anchovies. This oil is a healthy fat made from smashed olives. It’s rich in heart-healthy antioxidants. They may protect your blood vessels. When olive oil replaces saturated fat (like butter), it can help lower cholesterol levels. Try it on salads and cooked veggies, or with bread. A small handful of walnuts a day may lower your cholesterol. It may also protect against inflammation in your heart’s arteries. Walnuts are packed with omega-3s, healthy fats called monounsaturated fats, plant sterols, and fiber. The benefits come when walnuts replace bad fats, like those in chips and cookies. Slivered almonds go well with vegetables, fish, chicken, and desserts. They have plant sterols, fiber, and heart-healthy fats. Almonds may help lower “bad” LDL cholesterol. Grab a small handful a day. You may have seen these as an appetizer at an Asian restaurant. Edamame is the Japanese word for soybeans. Soy protein can help lower cholesterol levels. A cup of edamame also has 8 grams of heart-healthy fiber. To get that much fiber from whole wheat bread, you’d need to eat about four slices. Eat tofu and you’ll get a great form of vegetarian soy protein with heart-healthy minerals, fiber, and polyunsaturated fats. It can take on the taste of the spices or sauces you use to cook it. Swap white potatoes for sweet potatoes. With a low glycemic index, these spuds won’t cause a quick spike in blood sugar. They also have fiber, vitamin A, and lycopene. Sweet and juicy, oranges have the cholesterol-fighting fiber pectin. They also have potassium, which helps control blood pressure. In one study, 2 cups of OJ a day boosted blood vessel health. It also lowered blood pressure in men. A warm bowl of oatmeal fills you up for hours, fights snack attacks, and helps keep blood sugar levels stable over time — making it useful for people with diabetes, too. Oats’ fiber can help your heart by lowering bad cholesterol (LDL). Best results come from using steel cut or slow cooked oats. When you think of dairy foods, you probably think, “Good for my bones!” These foods can help control high blood pressure, too. Yogurt is high in calcium and potassium. To really boost the calcium and minimize the fat, choose low-fat varieties. Some margarines, soy milks, almond milks, and orange juices have cholesterol-fighting sterols and stanols added. These plant extracts block your gut from soaking up cholesterol. They can lower LDL levels by 10% without messing with good cholesterol. Sweet cherries, sour cherries, dried cherries, and cherry juice — they’re all good. All are packed with an antioxidants called anthocyanins. They’re believed to help protect blood vessels.